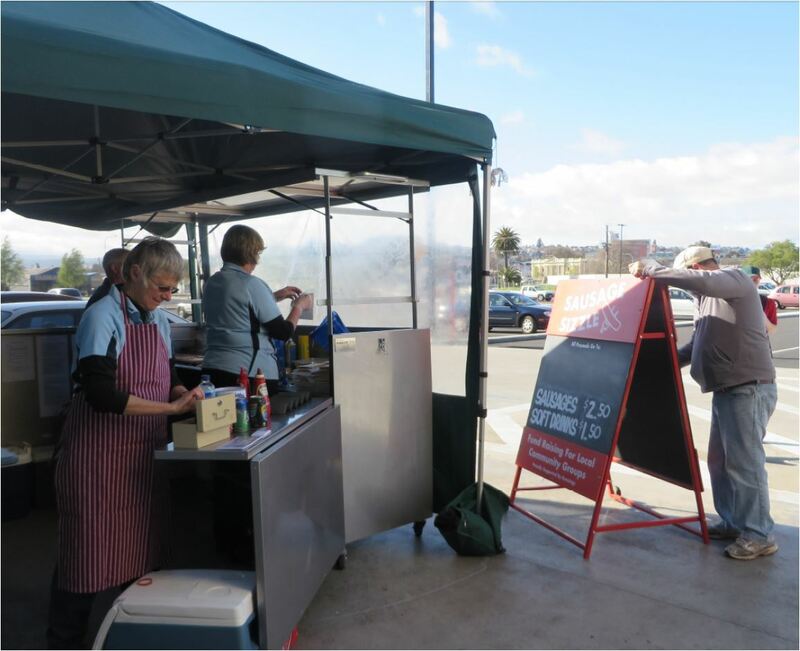 We did TWO fundraising sausage sizzles at the two Bunnings’ stores on the one day. A mammoth effort by all involved and a special thanks to Ros Lewis and Jean Van who were the team leaders and organisers at each site. At the city Bunnings, setting up with Ros, Keeva, Peter, Beth (on camera) and Mike doing a great sign on the board – he copied the lovely font that is on the donations tin, so it looked very oriental. 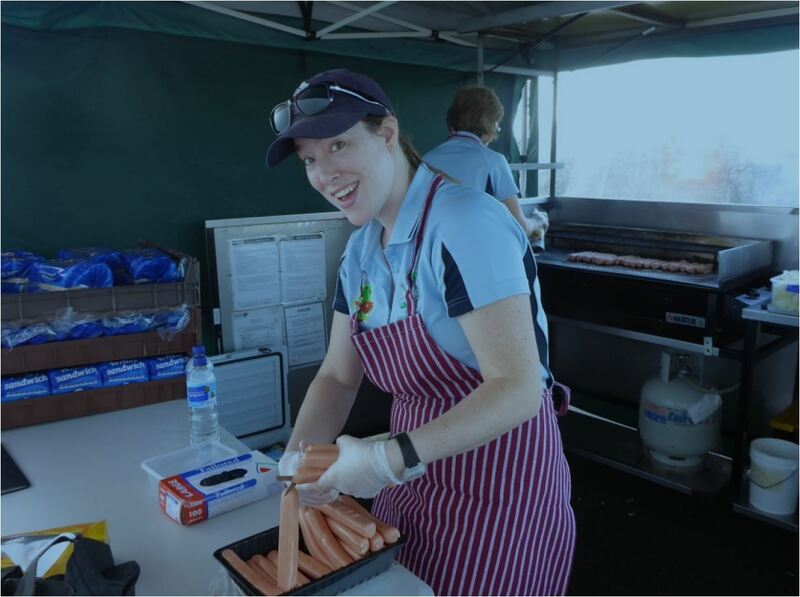 Kelly and Kathy working hard at the Kings Meadows Bunnings store.